Bulgaria and Romania are due to accede to the EU later this year, providing all citizens with the full benefits of membership, including the Freedom of Movement. This means citizens of either country will be able to live and work in the UK without the need for a UK visa. The last time several Eastern European countries acceded to the EU - Poland, Latvia and Lithuania in 2004 - UK immigration rates soared and concerns have been raised that a similar scenario could occur later this year or early 2014, placing further strain on already struggling public services. While there is still some contention over the effect the accession will have - the Government have so far refused to release official estimates - reports early this week suggested the Government was considering a negative ad campaign designed to deter Romanians and Bulgarians. The ads - which were quickly derided and dismissed by politicians - were supposed to feature a dreary Britain with a rainy, cold climate and little opportunity for work. 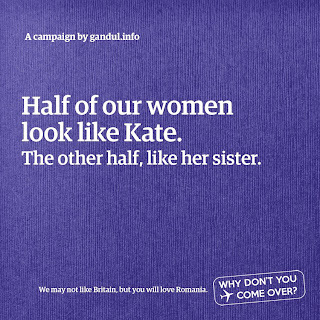 Whether any such ad campaign would have ever materialised or not, one Romanian newspaper has taken it upon themselves to create their own ad campaign - designed to attract Brits to Romania - using tongue-in-cheek 'facts' and stats about Britain and Romania under the tag line 'we may not like Britain, but you'll love Romania'. 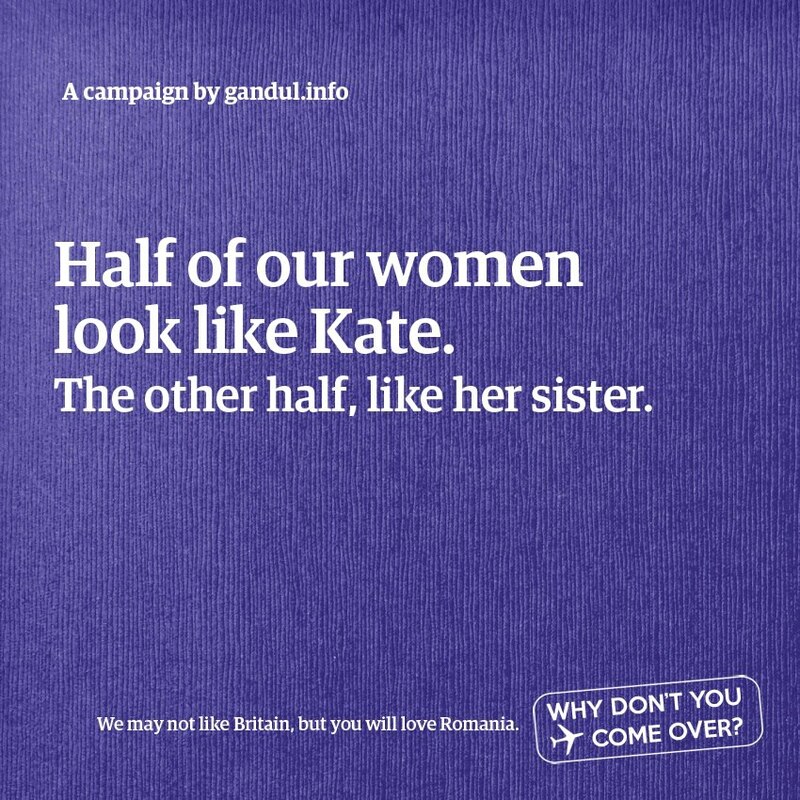 One ad claims that 'half of [Romanian] women look like Kate [Middleton]. The other half, like her sister.' and, continuing in the vein of mocking the monarchy that 'Harry has never been photographed naked once'.